Wholesome granola bars that you and your children will love. This is a great recipe to have your kids make with you. It is easily adaptable you can use any nut or dried fruit combination. Pre-heat oven to 350 degrees. Line a 9x11 inch baking pan with foil and coat the foil with cooking spray. In a large bowl combine the oats, flour, wheat germ, sugar and cinnamon, mixing well. Make a well in the middle of the bowl and add the honey, egg, canola oil, tahini and vanilla. Stir to mix all the ingredients thoroughly. Add the peanuts, sesame seeds and raisins, combing well. Evenly press the granola into the prepared baking pan pressing down firmly with the back of a flat spatula or a rolling pin. Bake for 20 minutes. 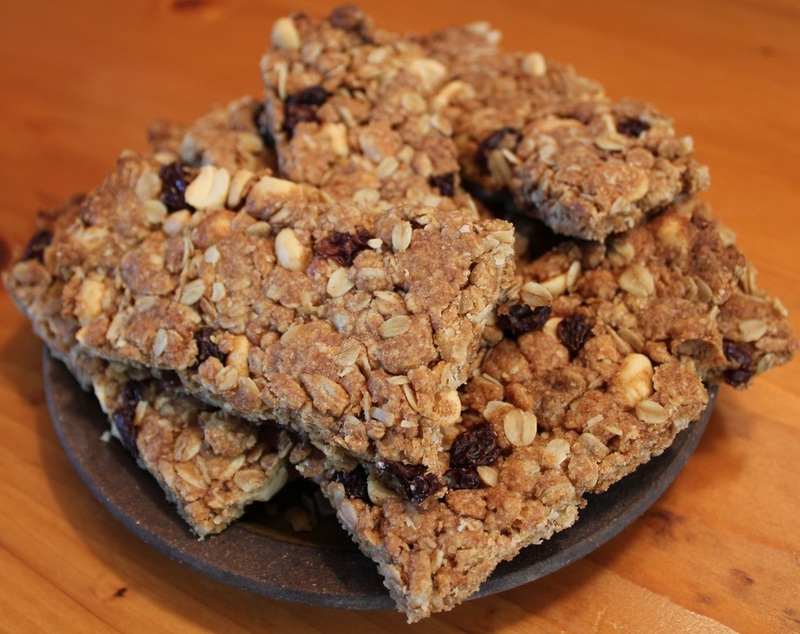 Remove granola bars from oven and cut into squares. For crunchier granola bars bake an additional 10 minutes. Cut while warm. Allow bars to cool completely before eating. Place granola bars in a tightly sealed container or seal with a vacuum packer. They should keep for a week.